1. What is the diameter of the Sun? 2. What is the average distance from the Earth to the Sun? 3. What is the composition of the Sun? 4. Describe the Sun’s surface. 5. Describe the Sun’s atmosphere. Not visible unless during an eclipse. Also visible during an eclipse. Ionised gas 2 million Kelvin. Hot enough to emit X- rays. 6. Describe the Proton-Proton Chain. - Proton-Proton Chain reaction at Sun’s core. - Proton + Proton = Hydrogen-2 + Neutrino + Positron. 7. How is energy released from this reaction? Convected to photosphere and then radiated into space. 8. Describe 2 methods that we can use to observe the sun. - Project an image of the sun onto paper. - Use a special H-Alpha or Mylar filter on a telescope. -Remember, NEVER look at the sun directly as this can easily cause permanent blindness! 9. What is a sunspot? Cooler regions on the surface (Photosphere) of the Sun. Correspond to strong local magnetic fields. Inhibit upward convection of solar material from the core below. 10. 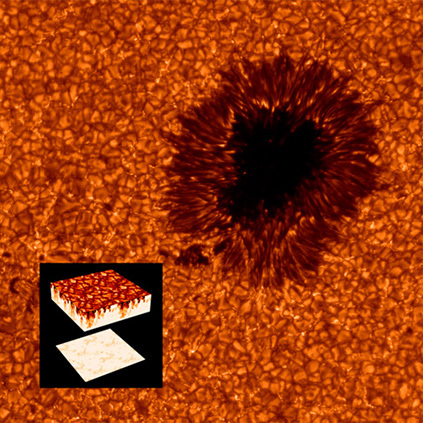 Describe the structure of a sunspot. 11. Describe the rotation of the Sun. - The Sun doesn’t rotate as a solid body. The equator takes 25 days to rotate. The poles take 36 days to rotate. 12. 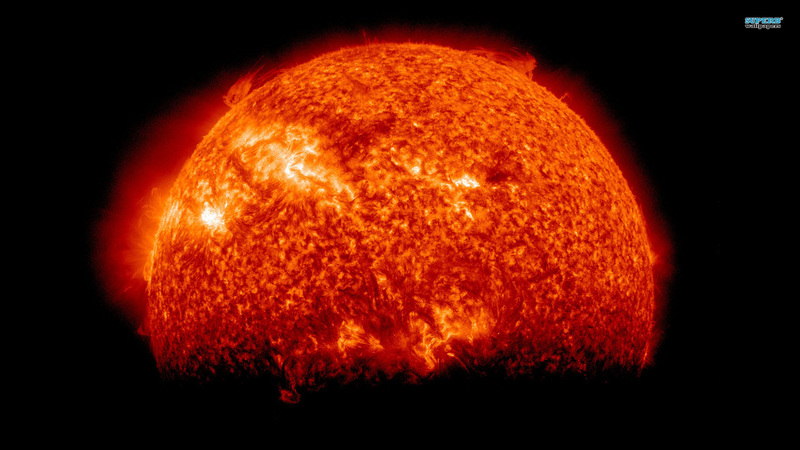 What is the solar cycle? - The relative number of sunspots follows a regular 11 year pattern called the Solar cycle. 13. What is a Butterfly diagram? - A Butterfly diagram is a graph of the latitude of the spot on the sun’s surface. At the beginning of a solar cycle there are a few sunspots at 35 to 40 degrees north and south. As the solar cycle progresses, there are more spots but their positions drift towards the equator. 14. What is the solar wind? - A steady stream of charged particles from the corona. 15. Describe the two types of Solar wind? Fast originates from coronal holes at the poles. Magnetic field lines here are open so particles can escape the sun more easily. 16. What is H-Alpha light? Used to observe the sun and emission nebulae. 17. What other wavelengths of EMR are used to study the Sun? 18. What features of the Sun can you observe using an H-Alpha filter? Cooler gas silhouetted against hotter photosphere.